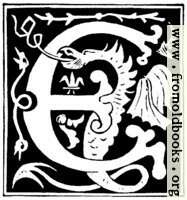 This capital “E” is suitable for use as a drop cap (dropped capital) or a decorative initial; there’s also a small version for an avatar or icon. 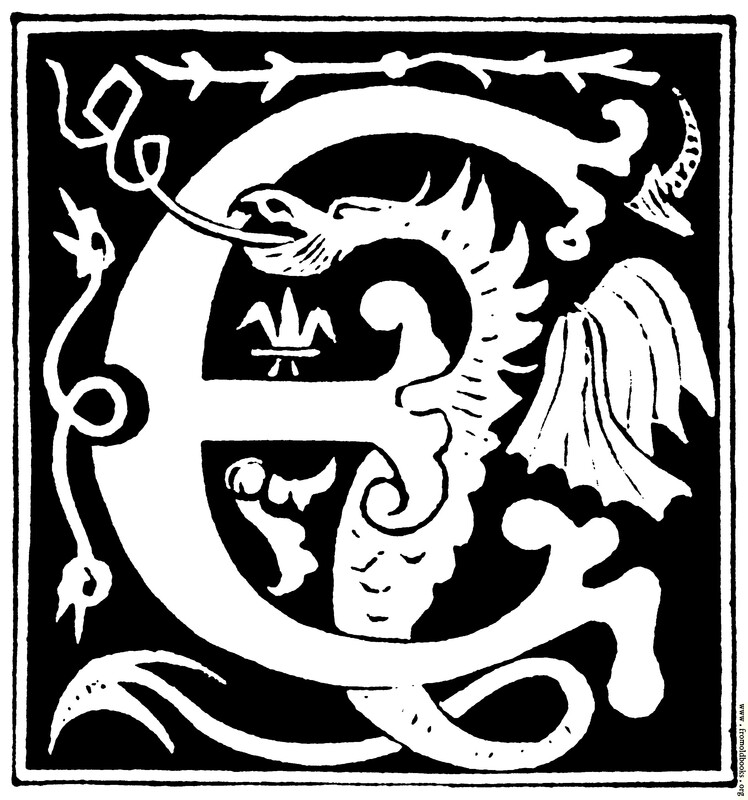 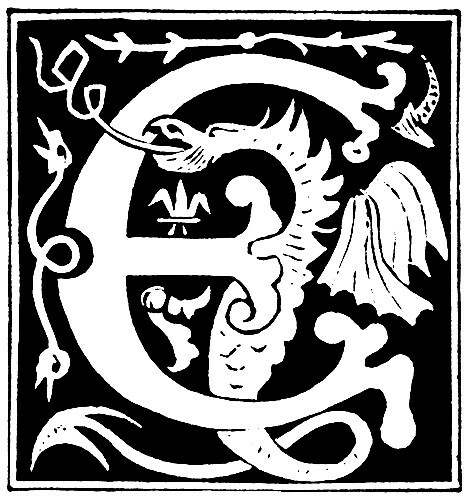 It is taken from a 16th century alphabet, and depicts a dragon with wings and a long tongue, and, in the background, a fleur-de-lys. 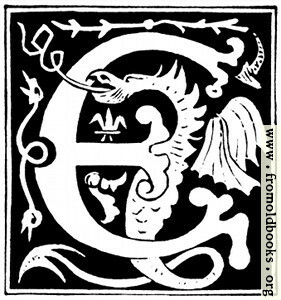 So maybe it is a French dragon?